Multiple sclerosis (MS) is the leading cause of irreversible neurologic disability in young women in the United States, and the second leading cause of neurologic disability in young men. In a series of debates at the 2016 American Academy of Neurology annual meeting, expert physicians addressed current and controversial issues in neuroscience, including the early aggressive treatment of patients with MS. 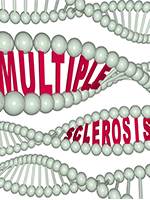 In a phase 3, randomized clinical trial, natalizumab (Tysabri) failed to slow the progression of ambulatory disability unrelated to relapses (primary end point) in patients with secondary progressive multiple sclerosis (MS). Although patients who received nataliz­umab were less likely to have progression of ambulatory disability than those receiving placebo, the difference was not significant, according to the results presented at the 2016 American Academy of Neurology annual meeting. The monoclonal antibody ocreliz­umab was recently granted a breakthrough therapy designation by the FDA for the treatment of patients with primary progressive multiple sclerosis (PPMS).